In the words of Dr. Charles Burney “the most pleasing and perfect performer on the hautbois, and the most ingenious composer for that instrument that has ever delighted our country during full sixty years". Burney elaborated: "Content with our former possessions and habits, [the English] went on in the tranquil enjoyment of the productions of Corelli, Geminiani, and Handel, at our national theatres, concerts and public gardens, till the arrival of Giardini, Bach, and Abel; who soon created schisms, and at length, with the assistance of Fischer, brought about a total revolution in our musical taste". This is strong praise, indeed, for Fischer, whose personal idiosyncracies were suggested elsewhere by Burney: "Though he had few charms for a friend or companion, he delighted the public at large in a higher degree than is allowed to any but gifted mortals". By all contemporary accounts Fischer was an odd duck, and perhaps the model for some of the myths about oboists. 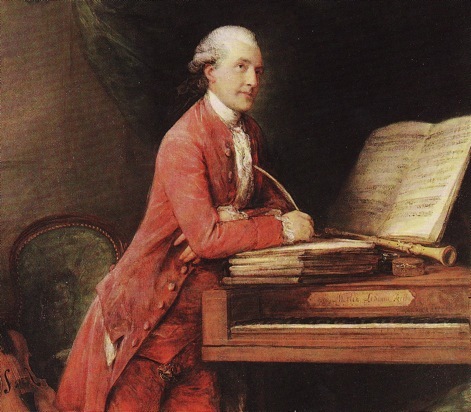 He suffered a fatal cerebral hemorrhage while playing a concert for Queen Charlotte, and had the ego to bequeath his printed and manuscript music to King George III from his (Fischer’s) deathbed.